Sonett is one of the pioneers of ecological laundry detergents and cleaners. Thanks to their excellent quality Sonett products are available in almost every European country. Considering it our responsibility to renaturalize water which has been used for laundry washing and cleaning, we add to our products substances which have been rhythmatised in an oloide mixer, and work with process water that is swirled in twelve egg-shaped glass vessels. All of our raw materials are completely biodegradable and free of synthetic fragrances, dyestuffs and preservatives, they are without any enzymes and petrochemical surfactants, contain no bleaching agents, and neither genetic engineering nor nanotechnology has been used. The oils used for our soaps and all of our essential oils originate 100% from certified organic cultivation. Kids Safari Pasta (300g)Organic pasta that your kids will love. This organic pasta with funny animal.. Kids Dinosaurs Pasta.Organic pasta that your kids will love. 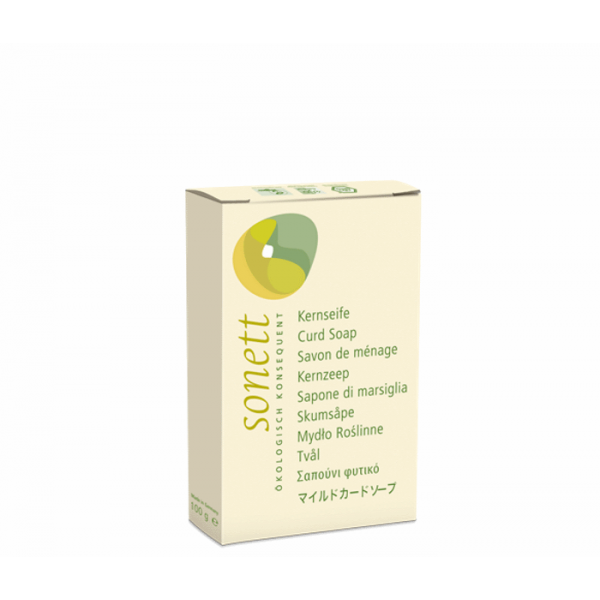 This organic pasta with funny ani..
Sonett Dishwashing Liquid Lemon (300ml)This is an extremely economical concentrated liquid for manua..
Multi-Surface and Glass Cleaner (0.5ltr.) Thoroughly cleans small glass surfaces such as panes, ..